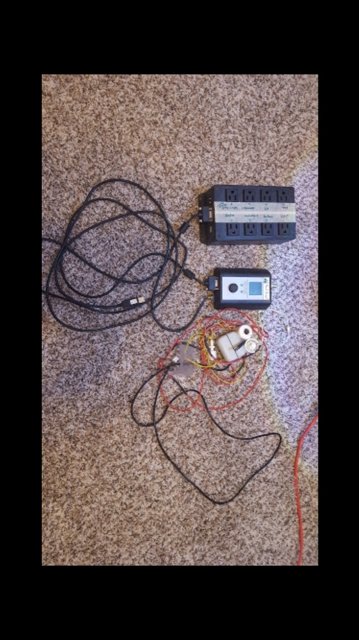 I found a local person who has a RA with powers trip and auto top off float switch. The unit is about 3 or 4 years old but apparently only used for 1 year before being put into storage. The seller wants $75. I will include a couple pics. Let me know what your 2 cents are. 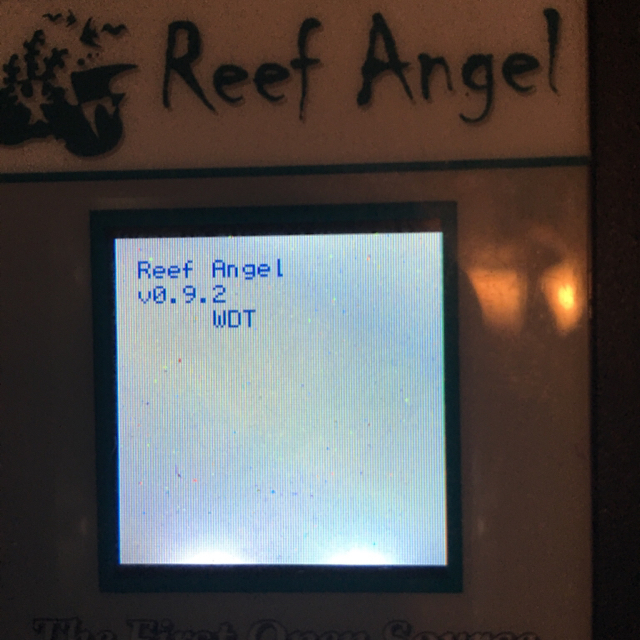 Is it a standard Reef Angel, or Reef Angel Plus? If it's the standard RA, it's obsolete. It would be another $75 to upgrade it. You also might want to find out if it's analog or PWM. Also, does it have any temp probes or a pH probe? if it does contain that stuff and you do need to upgrade, that is cheaper than the retail price. if you did the upgrade on it, it would essentially be a brand new head unit with a used relay box and parts. not terribly bad... so it could be half the price of a brand new one. 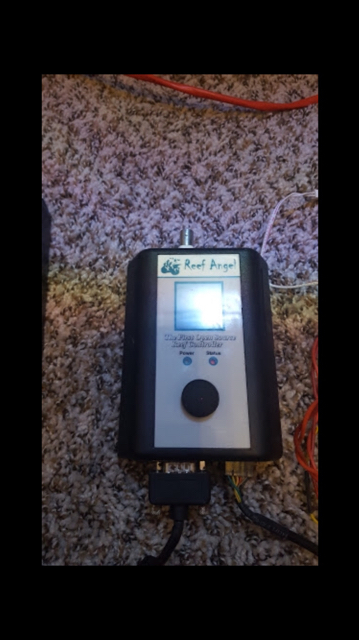 besides a new temp probe is only $10 and a ph probe is $25 (if they are not included). yeah it would be more money but still less than a brand new one. 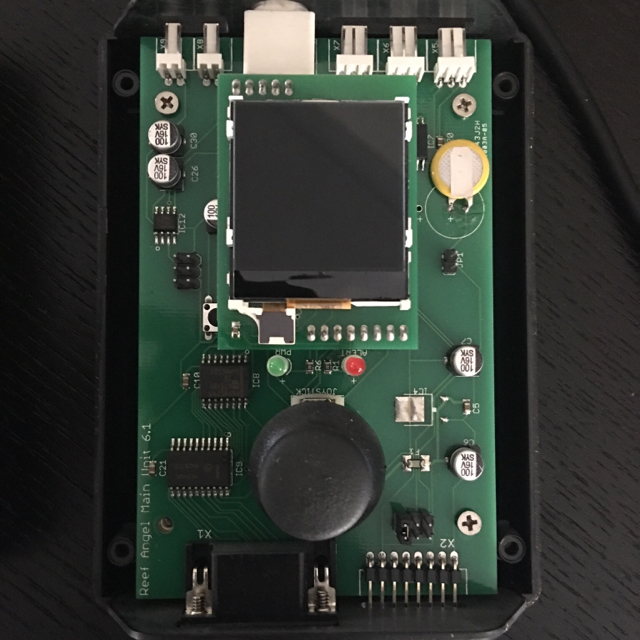 i personally have a relay box running that is several years old and it works great. I don't even worry about it. plus Roberto's support is awesome if there was a problem with it. ultimately it's your call but it doesn't sound bad. I would find out about if it's analog or pwm. that would be the only downside if you needed whatever it was not. and if you don't, then you should be fine. So I went ahead and pulled the trigger on it. Thanks for the feedback everyone. So the person I was buying it from did not know or could not remember what model it was or what dimming it was. Nope. You'll probably need to open it up and post a picture of the control board. On the relay box, if there is a sticker on the bottom that says "analog" then it's analog, else it's PWM. Good news, I have been emailing Roberto and he informed me that it is probably a Reef Angel w/ Optiboot. That being said all I want to do at this time is with the unit is monitor Temp and PH. I want to set a safety shut off for the heater for 83 degrees. I don't even "need" any feeding or water changing modes. I would like to possibly monitor Salinity if possible. The only "complex thing I would like to add is an ATO program. I have two float switches that a wired in line so I think the program would be set up for 1 float switch. In other words the second float switch would be a manual redundent switch. The key is that you'll need an older version of the libraries so that you have enough memory, but shouldn't be an issue for what you want to do.